Do sunbeds have healthful effects?The Vitamin D Society of Canada recently issued a significant news release: It describes new research reported on the vitamin D-producing effects of tanning salon sunbeds. The study was published in the journal DermatoEndocrinology, and it found that standard tanning salon sunbeds are very effective in raising serum levels of vitamin D. Those who used the beds were able to attain optimal levels (more than 100 nmol/L) [40ngml] D during winter. Actually, another earlier study had also showed similar results, so this research served to corroborate that finding. 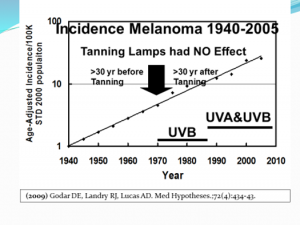 The significance of this evidence about sunbeds cannot be overemphasized. This is transcendentally important information for Canadians! They receive little or no vitamin D-producing sun exposure in winter. It is similarly important for all others who live at high latitudes, work indoors or are rarely exposed to sunlight. Vitamin D deficiency, primarily due to lack of sun exposure, is a disaster that becomes larger each year. The reason? The Powers of Darkness continue to promote sun avoidance and sunscreen use. It has been shown that an SPF 15 sunscreen will decrease sun-stimulated vitamin D production by up to 99.5%. This new research builds on the importance of vitamin D health benefits: It found that if Canadians raised their vitamin D blood levels to an optimal 100 nmol/L, it could prevent 23,000 premature deaths. It could also save $12.5 Billion annually in direct health care costs. The researchers indicate that low vitamin D levels in winter leave one more susceptible to many diseases. Some of these include colds and flu. And, they also lead to more serious illnesses such as osteoporosis, diabetes, multiple sclerosis, many cancers and heart disease. Remember this, however: The sunbeds that emit Ultraviolet B (UVB) light are the only ones that should be used. UVB is necessary for the production of vitamin D. The high pressure beds produce little or no UVB. Therefore, I do not recommend them. Due to the scare tactics of those who frighten the public out of the sunlight, many other facts about the beneficial effects of sunbeds have been forgotten or hidden. Below are a few more of those facts. Sunbeds strengthen bone. 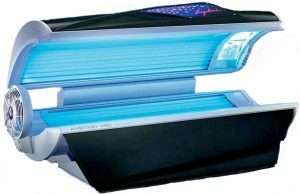 As mentioned above, one study compared 50 subjects who used a sunbed at least once weekly, to 106 control subjects who did not use them. Sunbed users had 90% higher vitamin D levels than non-users. They also had significantly higher bone-mineral density, indicative of stronger bones. Sunbeds use reduce chronic pain.,  A study of pain in fibromyalgia patients, conducted by dermatologists, revealed that those who used UV-producing sunbeds experienced a decrease of 0.44 points on a 10 point scale (Likert scale), when compared to those who did not receive UV light. Furthermore, feelings of well-being and relaxation were also reported among the tanners. Sunbeds may help unborn children. Sunbeds are now being recommended for use by pregnant women who will give birth in a winter month, in order to protect the unborn child from osteoporosis during adulthood. Sunbed use reduces the risk of clots. In an eleven-year study of the sun-exposure habits of 40,000 women, venous thrombotic (clotting) events were measured. It was found that women who sunbathed during the summer, on winter vacations, or when abroad, or used sunbeds, were at 30% reduced risk of clots compared to those who did not sunbathe. Due to the health benefits, and also due to the way they help my mood, I enjoy using sunbeds. Nevertheless, I am not telling you to use them or to avoid them. However, the aforementioned positive information should at least help you to make an informed decision. Stay healthy and remember that the sun is your friend! Samantha Kimball, Jasmine Lee and Reinhold Vieth. Sunbeds with UVB radiation can produce physiological levels of serum 25-Hydroxyvitamin D in healthy volunteers. Article: e1375635. Published online: 06 Oct 2017. Matsuoka LY, Ide L, Wortsman J, MacLaughlin JA, Holick MF. Sunscreens suppress cutaneous vitamin D3 synthesis. .Journal of Clinical Endocrinology & Metabolism 1987; 64:1165-68. The SCF must have missed an excellent study that compared 50 people, who used tanning beds regularly, with 106 who did not. The tanning-bed group had 90% higher vitamin D levels and significantly higher bone density. 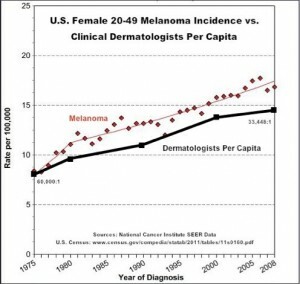 And, whether from vitamin D production or from some other photoproduct of UV exposure, research has shown that (a) women who use tanning beds have a reduced risk of endometrial cancer of 40-50%. (b) There is a significantly lowered risk of venous thrombotic events among women who use tanning beds when compared with those who do not. (c) Tanning-bed use is inversely correlated to breast-cancer risk. You can make up your own mind regarding tanning beds, but before you do, please be apprised of the truth based on research. That truth will set you free. Tangpricha V, Turner A, Spina C, Decastro S, Chen TC, Holick MF.Tanning is associated with optimal vitamin D status (serum 25-hydroxyvitamin D concentration) and higher vitamin D levels. Am J Clin Nutr 2004:80:1645-49. Lindqvist PG, Epstein E, Olsson H. Does an active sun exposure habit lower the risk of venous thrombotic events? A D-lightful hypothesis. J Thromb Haemost 2009;7:605-10. 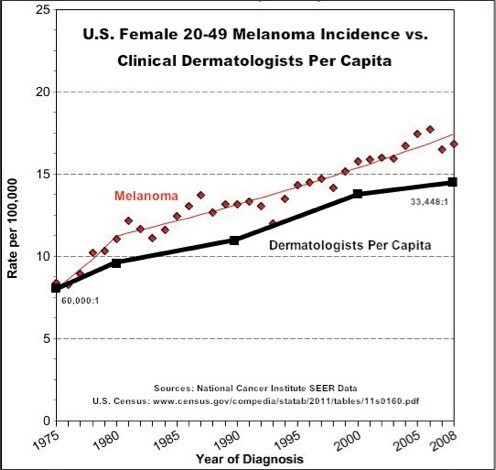 Yang L, Veierød MB, Löf M, Sandin S, Adami HO, Weiderpass E. Prospective study of UV exposure and cancer incidence among Swedish women. Cancer Epidemiol Biomarkers Prev Published Online May 6, 2011.